Mrs. Gertrude Pocte Geddes-Willis (pictured second on the bottom row) was one of the first American female funeral directors in New Orleans. Her first marriage was to Clem Geddes who died in 1913. He was one of the three sons of George Geddes, pioneer in the funeral business who had a establishment on Rampart Street. His other sons also established separate funeral buinesses. One became proprietor of Joseph P. Geddes Funeral Home, and the other became co-proprietor of Geddes and Richards Funeral Home. In 1919 she became the wife of a local dentist and businessman, Dr. William A. Willis, who died in 1947. Clem and Arnold Moss Had established Geddes & Moss Undertaking Parlor in 1909. After the deaths of her husbands and partner, Gertrude filed for reorganization and renamed the business Gertrude Geddes Willis Funeral Home and Life Insurance Company, which name it bears today. She expanded the facility and increased services. Mrs. Willis died on February 20, 1970. She is buried in St. Louis Cemetery No. 3. Photo from CreoleGen (A Business They’re Dying to Get Into – Black Undertakers in New Orleans). 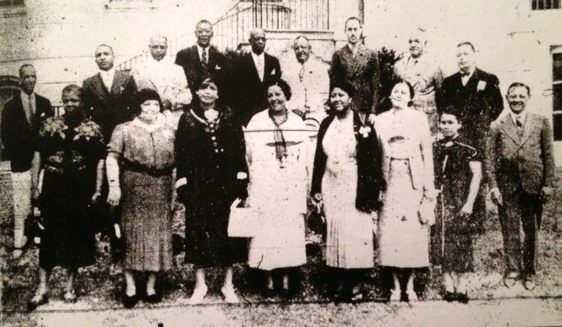 Pictured from left to right, first row: Zenobia E. Lockett (Lockett Federal Funeral Home); Gertrude Geddes-Willis (Geddes & Moss/G. G. Willis); Elmira Strudwick (Strudwick Funeral Home); Mrs. George Llopis (Carr-Llopis); Erma Henderson Gibbs (Murray Henderson); Julia Blandin (Blandin); Doris Millaud Rhodes (Rhodes); Emile Labat (Labat). Second row: W L. Powell; Duplain W. Rhodes (Rhodes); Fate Strudwick (Strudwick Funeral Home); Christopher C. Verrett (Crescent Undertaking & Embalming Company); Charles Henderson (Murray Henderson); Emanuel F. Llopis (Carr-Llopis); Clennen L. Dennis (Dennis); Joseph P. Geddes (Jos. P. Geddes); George Llopis (Carr-Llopis). Born in New Orleans on September 20, 1930, pianist Edwin Joseph Bocage "Eddie Bo" was known for his blues, soul and funk recordings, compositions, productions and arrangements. He debuted on Ace Records in 1955 and released more single records than anyone else in New Orleans other than Fats Domino. May 22, 1997 was declared "Eddie Bo Day" in New Orleans by mayor Marc Morial while Bo was playing in Karachi, Pakistan. Bocage was also named New Orleans' music ambassador to Pakistan. He passed away on March 18, 2009. Traditional jazz clarinetist and saxophonist Oliver Alcorn, born on August 3, 1910 was the brother of trumpeter Alvin Alcorn. Oliver played with Papa Celestin's Original Tuxedo Jazz Orchestra, among others. He died on March 18, 1981 at Ochsner Foundation Hospital. Explorer René-Robert Cavelier, Sieur de La Salle was murdered on March 18, 1687 by mutineers near what is now called the Brazos River in Texas. His second expedition failed to find the Mississippi on their voyage from France and they search the coast for two years before La Salle is killed. 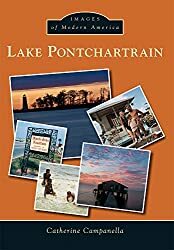 Source: Louisiana Almanac 2008-2009.